Microsoft has confirmed that it will be easy for developers to port games created for the Xbox Arcade to Windows Phone 7. 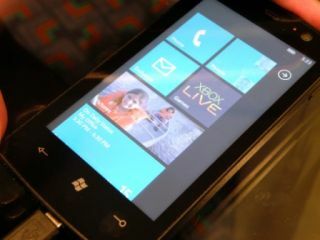 Although it's already common knowledge that the XNA framework, used for creating Xbox Arcade games, is going to be used for the Windows Phone 7 series handsets, Oded Ran, head of Consumer Marketing for Windows Phone confirmed this was Microsoft is hoping to be seen as a market leader in mobile gaming. "There are four million Xboxes in the UK compared to 2.5 million iPhones; we're now working with developers who know how to make games, and they're able to port Xbox Arcade games to mobile phones easily," said Ran. "Of course we're not talking about bringing Halo 3 to your mobile phone - users want a 42-inch LCD TV and surround sound to play games like that - but our XNA framework is a big part [of the forthcoming Windows Phone 7 launch devices]." Ran also pointed out that the same framework is used to create games on Windows 7 PC games, so it's entirely feasible that multi-platform gaming will play an even bigger part of the launch than previously thought.